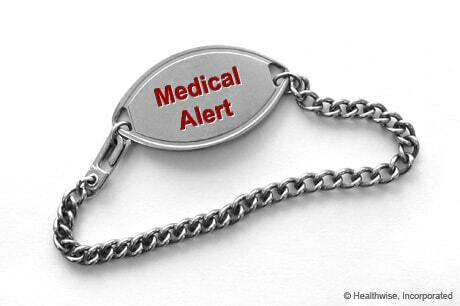 Imagine this scenario: You are rushed to the emergency room, unable to give the emergency nurse your medical history. With a single phone call, emergency response personnel can access medical history and records, protecting you against potentially adverse treatments or medication conflicts. The Bleeding Disorders Alliance Illinois will pay for the first year of the Advantage (adult) or KidSmart (child) membership including a stainless steel ID and shipping and handling. For more information on this program as well as an application, please contact your Hemophilia Treatment Social Worker.